This desire for comfort is naturally extending to the home, creating a new and exciting market, and even though our passion for customer care and attention is of paramount importance in our work, we’ve found ourselves ideally positioned to service. Today’s home air conditioning systems are not only used for cooling but also supplies heat through the use of highly efficient heat-pump technology that provides an effective level of air filtration. Thus bedrooms, conservatories and loft conversion that are typically too hot in summer and too cold in winter, can be enjoyed at a constant level of comfort throughout the entire year. Not only does air conditioning simply cool the air, it does so much more by offering the perfect balance of temperature, fresh air and humidity, even purifying the air ensuring you enjoy the perfect comfort levels all year round. However because of the rising cost of energy prices and our ever growing concerns about the environment, means that air conditioning must be highly energy efficient too. A Curries air conditioning heat pump system offers a complete all-in-one solution for superior performance and energy efficiency, to protect the environment in which we live. Due to the increase of energy cost, it’s more imperative than ever before for air conditioning to be as efficient as possible. Not only is our heat pump air conditioner stylish, it’s also energy smart with room-specific controls providing weekly scheduling and presence sensors to reduce energy consumption when nobody is at home. Whether you are planning to renovate your home or are involved in a new building project, Curries versatile heat pump air conditioners are ideal to do any job. Inconsiderate of the age of your property, you can rest assure that a Curries heat pump air conditioning solution will last you for many years to come, providing reliable service whatever the weather and value for your money. 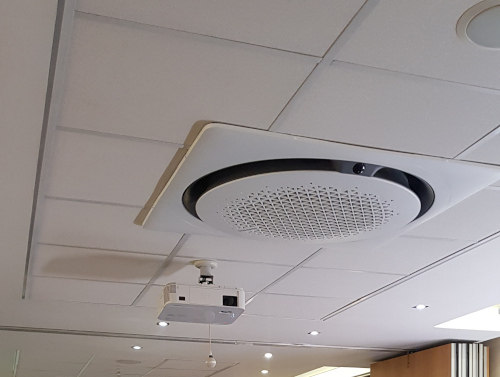 For commercial properties to ensure that staff and guest experience the benefits of fresh flowing atmosphere throughout the day, air conditioning systems are used to help provide a total environmental solution, regulating room temperatures and keeping it operating at optimum levels. Curries Air Conditioning understands how crucial human comfort is to maximise staff productivity, and that by providing a comfortable environment is very important. That’s why our range of commercial air conditioning and comfort cooling products are designed to suit a wide range of applications suitable for office, leisure and retail sectors. We are confident that our air conditioning systems provides a perfectly comfortable environment all year round, optimising energy efficiency, reducing costs and carbon emissions. 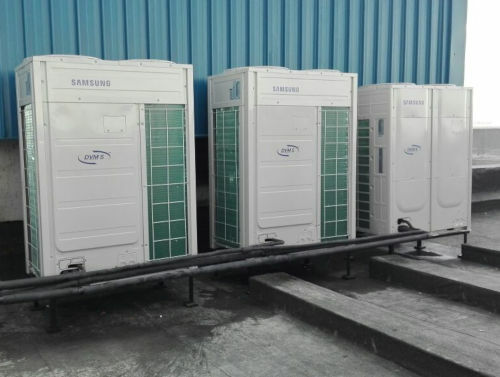 We have installations and air conditioning control strategies throughout some of the world’s largest retailers, thus guaranteeing uptime, maximizing efficiency and reducing cost with a range of comfort cooling condensers and condensing units. If you are looking for an environment without temperature fluctuation and a system that provides precision cooling, Curries Airconditioning will do the job regardless of requirements and ambient temperatures. Depending on building size, our air volumes can be customized to meet the exact demands of each commercial application. Building managers can now be in complete control of indoor climate because Curries Air Conditioning provides a total climate management solution offering user-friendly controls for individual zones which also includes wider scale energy management and monitoring tools for multiple buildings. Our qualified team of technicians at Curries Air Conditioning will customize a system to suit your needs, whether your current unit finally needs an up-grade or you are in the market of purchasing a completely new commercial air conditioning system. 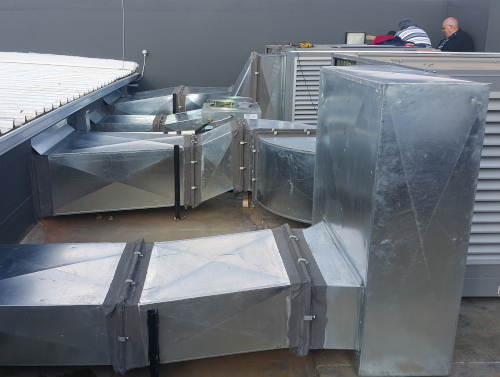 Our designing process begins with a survey conducted of your commercial or industrial premises, followed by discussions about features, budget and any other variables, after this the commercial or industrial air conditioning system will be designed in sync with your premises and spatial activities. Our qualified team of specialist who are trained and experienced in working with leading brands that we use, will carry out the installation ensuring that every component on your new system is fully functional and working at optimal output. Our service won’t stop there either – our regular maintenance and servicing plans will ensure your industrial or commercial air conditioning system maintains its natural working ability and efficiency, avoiding any issues from arising in future. 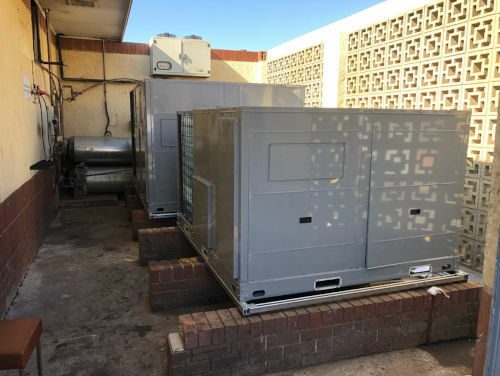 Our comprehensive expertise and experience in fitting air conditioning systems to all types of commercial and industrial premises throughout South Africa includes computer rooms, warehouses and commercial establishments such as shops, bars and many more. There are two separate components in Central air conditioners: the condenser and the evaporator. The condenser unit is located outside the house on a concrete slab, whereas the evaporator coil is mounted in the plenum or main duct junction above the furnace. Most central air conditioners are connected to a home's forced-air distribution system. 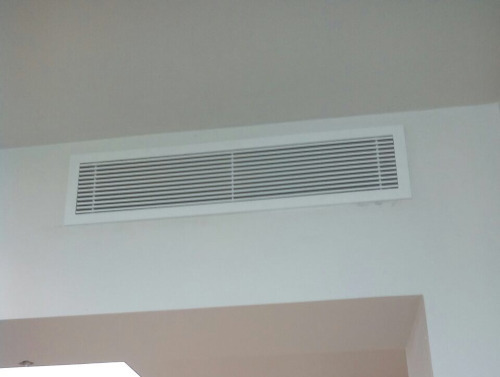 Therefore the same motor, blower and ductwork that is used for heating, is also used to distribute cool air from the air conditioning system. Hot air inside the house flows to the furnace through the return-air duct when a central air conditioner is operating. The blower then moves the hot air across the cooled evaporator coil in the plenum and is then delivered through ducts to cool the house. However, if the air conditioner works but doesn’t cool the house, this means the distribution system might be faulty. Other than routine cleaning, always ensure a professional service person is called for any maintenance as both the evaporator and the condenser are sealed. It is also necessary to have central air conditioners professionally inspected and serviced before the beginning of every cooling season. In order to keep your system in good condition and operating efficiently, do not let your maintenance end with this annual service as there are specific maintenance procedures you can follow yourself even though there aren’t many repairs you can do. Caution: Before commencing any work on an air conditioning system, always ensure power to the system, the condenser and evaporator assembly is turned off. What To Look For When Considering Airconditioning Services Air-conditioning is one of the most beneficial modern-day conveniences that we have. Without it we would be miserable during the summer months when the heat can be unbearable. 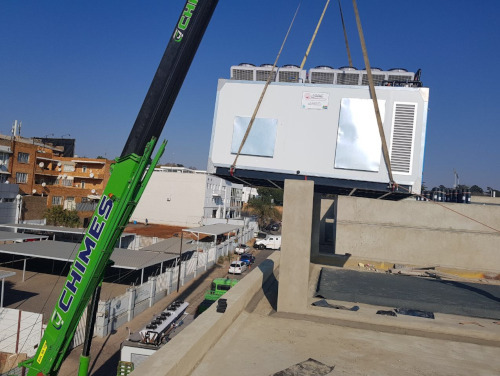 However, even though we rely on air-conditioning each day of our lives, we often don’t think about the care and maintenance that is required to ensure that our units will work at the optimum levels. Relying on the airconditioning services from trained professionals is a great way to ensure that your air-conditioning unit will be properly maintained. Why Is It Important To Maintain My Air-Conditioning Unit? Air-conditioning units can be complicated pieces of technology. They rely on many different mechanical functions that are often above the knowledge level of the typical consumer. Think of air-conditioning units in the same way that you think of a car. You can bring your car to a mechanic regularly and pay a little for routine maintenance, or you can wait until your car breaks down. If you wait too long and your car breaks down, then you will have to pay a considerable amount to restore it. The same goes with air-conditioning units. If you do not properly maintain your air-conditioning unit throughout the duration of its lifetime, the unit could end up breaking, requiring costly repairs in the future. Over the long run, airconditioning services can help you maintain your unit and save money while doing it. When contracting airconditioning services, you have access to individuals who are highly trained in their field of work. Likewise, air-conditioning contractors will have access to the necessary coolant chemicals that typically are not available to the general public. If needed, this coin can help your condition run much more efficiently and can actually save you money in the long run. What to look for when hiring an air-conditioning repair service? When hiring an air-conditioning repair service, you’ll want to check to see if they can perform routine service checks on your unit. When performing these checks, these trained professionals should look at the condensing units, check the oil level in the fan motors, check pressures and temperatures, and check the draw level of air in the unit. Many of these services offer different deals depending on what the season is, so it’s a good idea to check with them so that you can get the lowest price for the service rendered. One of the benefits of seeking professional airconditioning services rather than trying to fix things yourself is that you have the peace of mind knowing that they are experienced in what they are doing. Purchasing an air-conditioning unit is oftentimes an expensive investment and without the proper training it is easy to ruin the complicated equipment. Most air-conditioning contractors will carry insurance to guard against in the accident that might happen with the air-conditioning unit. If you do it yourself, then you run the risk of ruining something without being able to replace. If you have yet to perform maintenance on your air-conditioning unit this year, you should consider airconditioning services to help ensure that your unit is in great shape. Doing so will not only increase the efficiency of your air-conditioning unit, but it will also save you money in the future.